But you can only fit so much stuff in your camper! That's why you should only bring the absolute best RV accessories possible. 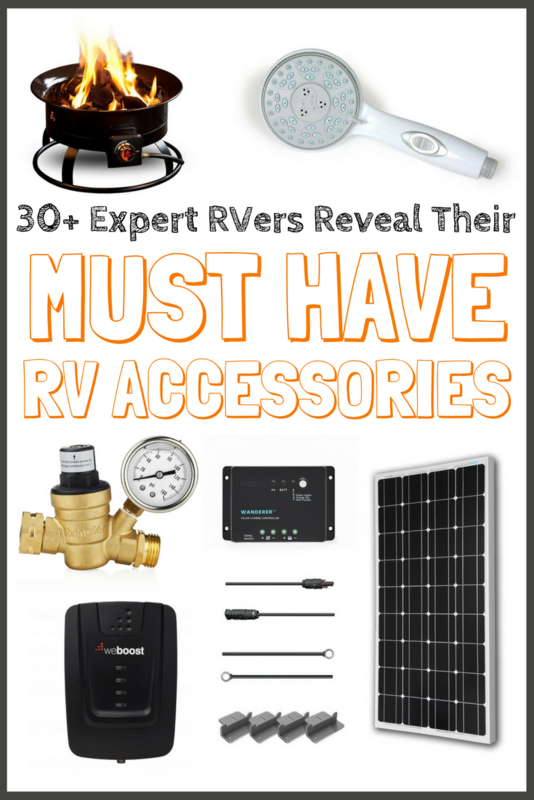 In order to find the MUST have RV accessories, we interviewed over 30 full-time RVers. 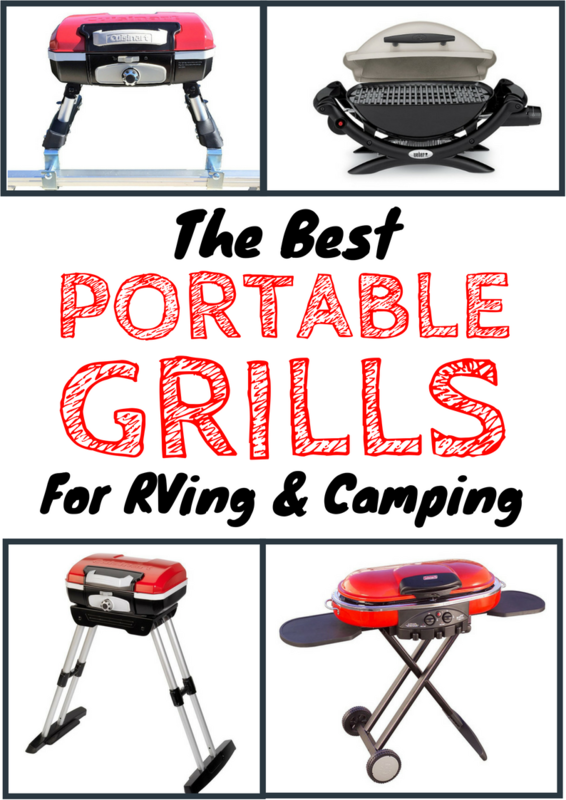 So whether you live in your RV or just vacation once in a while, these RV gadgets, RV supplies, and camper accessories are sure to enhance your camping experience. 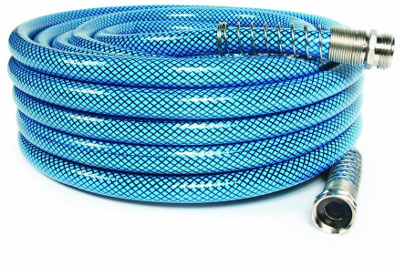 Before we talk fancy camper accessories that make life better, let's quickly talk about the essentials - like an RV sewer hose to drain your holding tanks and drinking water hoses without chemicals that can harm your body. Heath and Alyssa have been featured on CNN, CBS and more for their documentary Hourly America, about how they traveled to all 50 states in their RV to try a different job in every one! 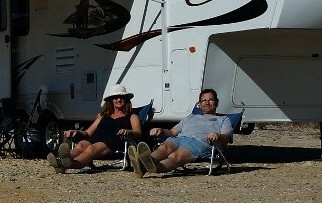 Nancy Walters runs the blog at RV-A-GOGO, which was ranked one of the top 100 RV blogs by Feedspot! 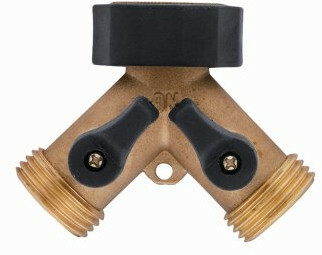 Besides providing utility to stop you from accidentally taking out the water pump, they have a lot of other uses. 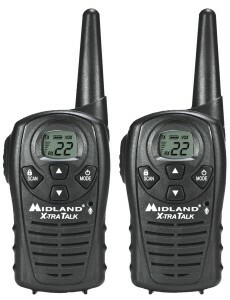 For example, you can play all kinds of fun games with walkie-talkies or use them to scare the crap out of each other. Fun times! 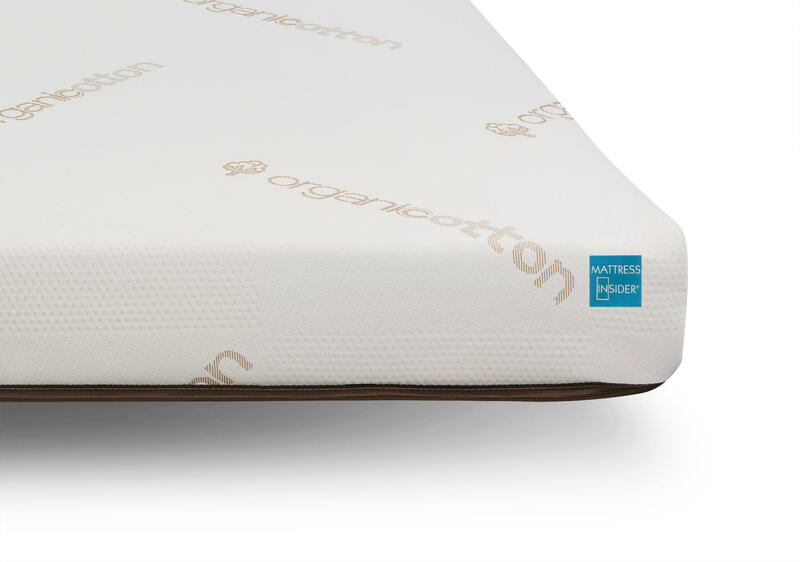 Choose from Memory Foam, Gel Foam, and more! RV kitchens are incredibly small. For anyone that likes to cook (like us), they leave a lot to be desired. 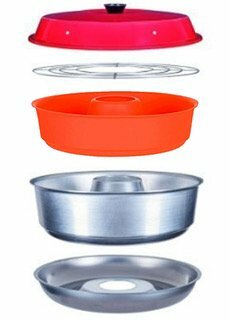 Cook Oven Meals On Your Stove Top! Heather and Chris run their blog 4 Radical Road Schoolers and a Fat Cat (great name, right?). 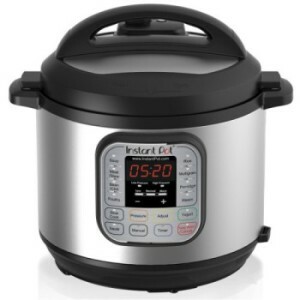 Instant Pot is an all in one kitchen device: pressure cooker, slow cooker, yogurt maker, rice cooker, steamer, and more. 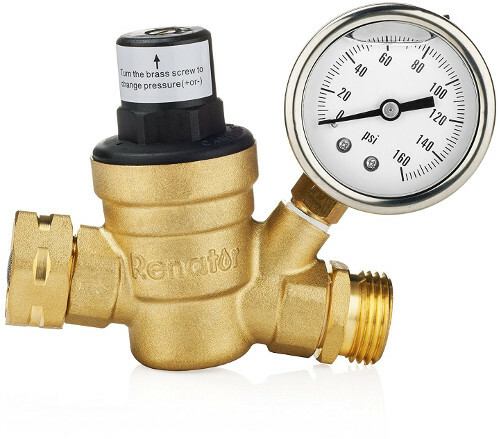 Because it does so much stuff with one device, this thing is an absolute must have RV gadget! 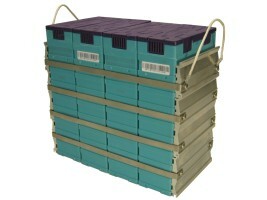 It makes your limited space seem just a tad bigger, which is great. Here are some cool recipes you can make with it. Heather and Chris also recommended a few collapsible accessories. 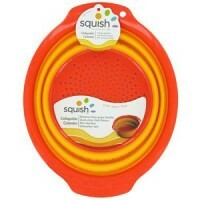 If you live in a small camper, these are a God-send! 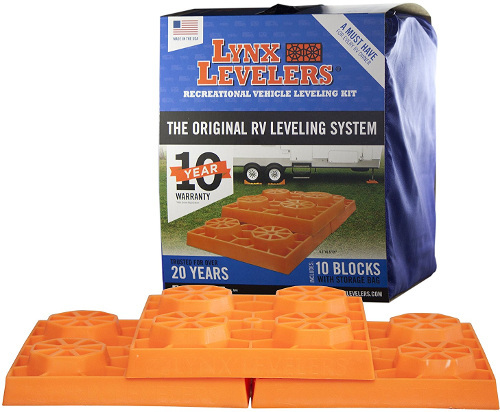 We already shared how amazing collapsible items are in our list of RV storage ideas. 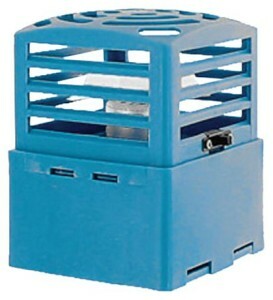 They make it so much easier to organize your cupboards and save space. 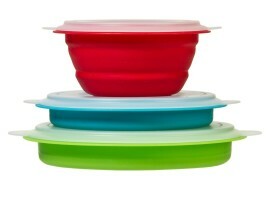 Note: ​​​​If you’d prefer something a little sturdier, stackable bowls also make great space savers. Robert and Jessica blog at Exploring the Local Life. Follow their travels on YouTube and Facebook. “When we first started out we had a Keurig. It was great but took up so much space. 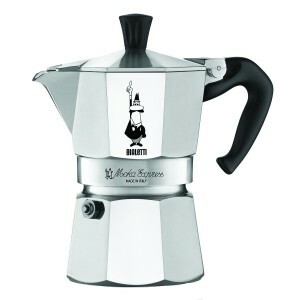 Our little Moka Pot takes up about the amount of space as a hot/cold beverage tumbler. 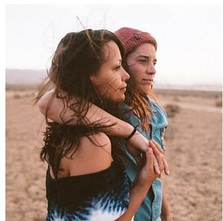 Vanessa and Marissa run The Roamans Blog, where they chat about yoga, travel, and their awesome dog Penny (who happens to love organic peanut butter). 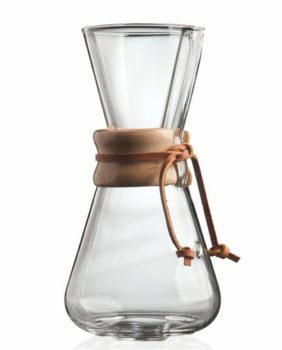 “As far as our Chemex is concerned, we use this every day. 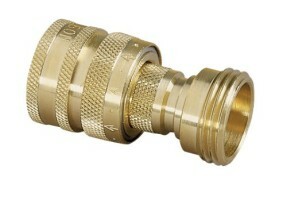 Plus, the thing looks like something an alchemist would have in their shop. Pretty cool! Heather and Dave run the Happiest Campers blog. 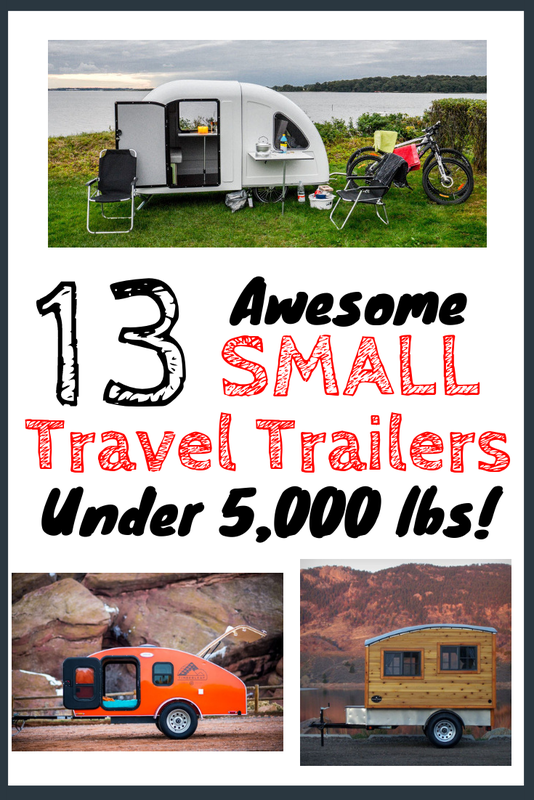 They recently totaled their RV, so go give them some love! 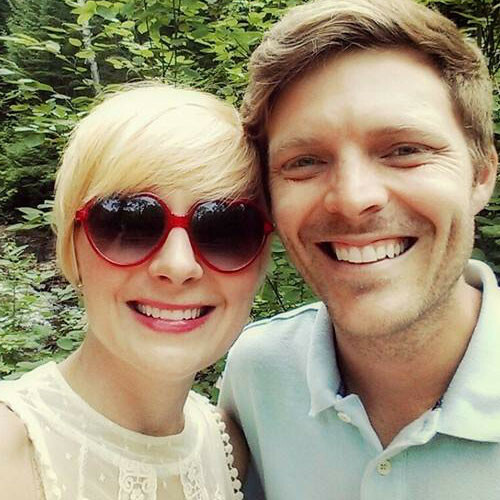 Marie and Josh share their adventures at Ardent Camper. 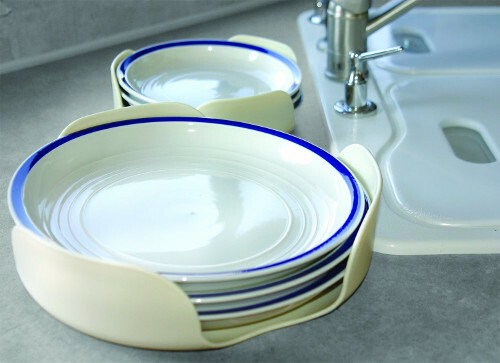 Note: They originally recommended stacking plate and bowl holders from IKEA. However, these are no longer available, so we found a suitable replacement on Amazon. Tim and Amanda run Watsons Wander, where they tell their stories about working and living full-time in an Airstream. 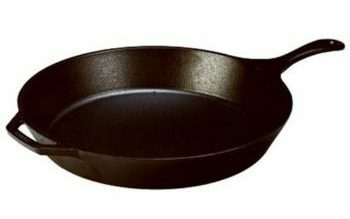 “A well-seasoned cast iron pan is a must have in any RV. When we first started out, I thought cast iron was far too heavy to be part of the RV kitchen. I’ve since learned that cast iron is great because it’s so versatile. We actually carry around less cookware because our single 10″ cast iron pan serves so many purposes. Not only is it perfect on the stovetop for things like seared meats, crispy bacon, and even eggs, but it also transitions easily to the oven for dishes like pizza, quiche, and casseroles. 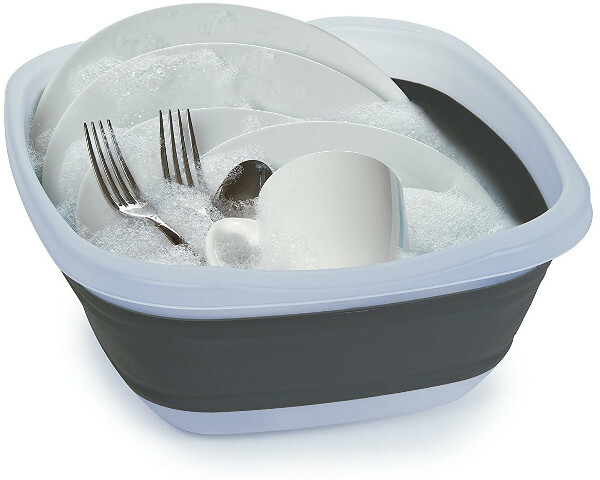 That’s all for RV kitchen accessories! Next up we have magical temperature control. 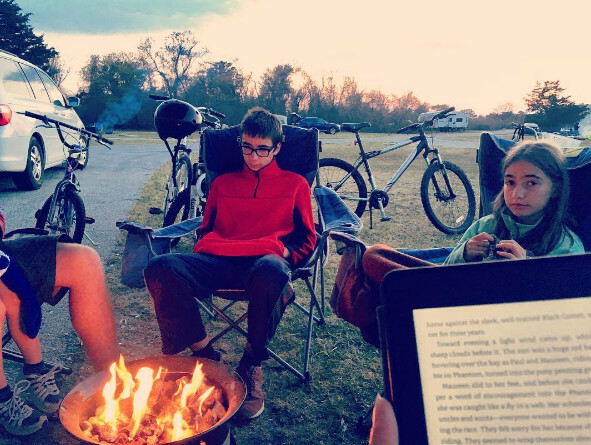 Keeping it cool or warm in an RV can be tricky. The insulation isn’t great in these things and running the AC requires a lot of power. 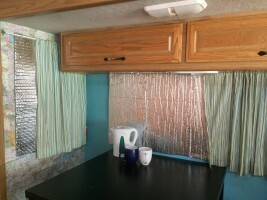 This section is dedicated to RV gadgets and hacks to keep it toasty warm or comfortably cool, regardless of outside temperatures. Liz Wilcox is a funny full-timer who blogs about her travels. Follow her on YouTube and Facebook. Liz moved into her RV without a clue about 8 months ago. It didn’t take her long to realize that $20 fan in the corner of the bedroom just wasn’t going to cut it. 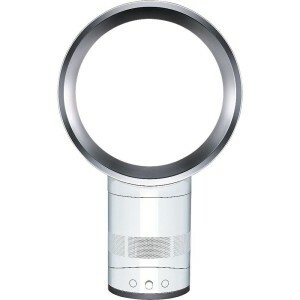 With warm weather approaching, she’s committed to buying the Dyson Air Multiplier before the summer solstice. 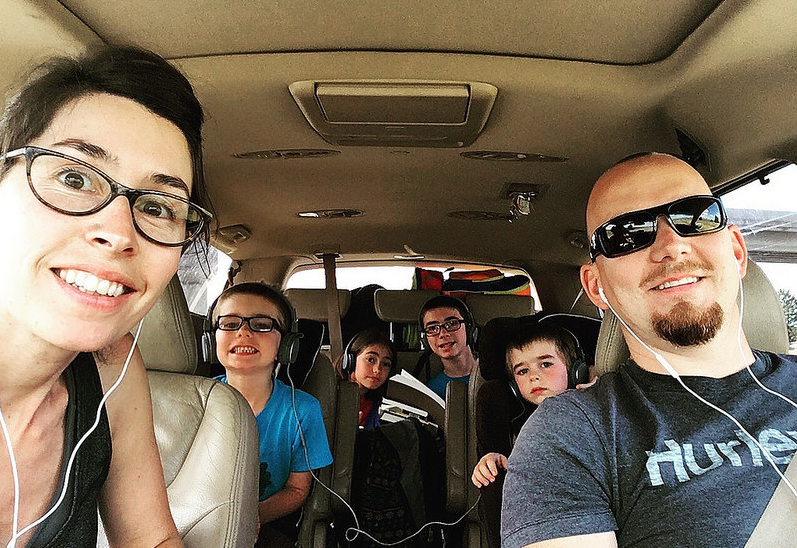 Paul and Becky blog about how to travel as a family at Home Along the Way. Follow them on Facebook and Twitter. 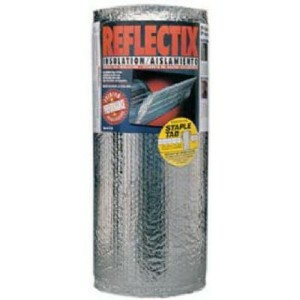 Reflectix is a reflective insulant you can put in all your RV windows to reflect sunlight away from your camper. It keeps the inside temperature lower on those brutally hot summer days. You can use velcro strips to easily place it on the window. Plus, it costs less than $20 a roll – how’s that for an RV hack? Just because you’re in an RV doesn’t mean you’re not camping! 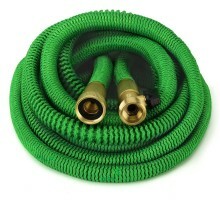 From propane fire pits to hiking gear, these RV accessories will help you get the most fun from the great outdoors. 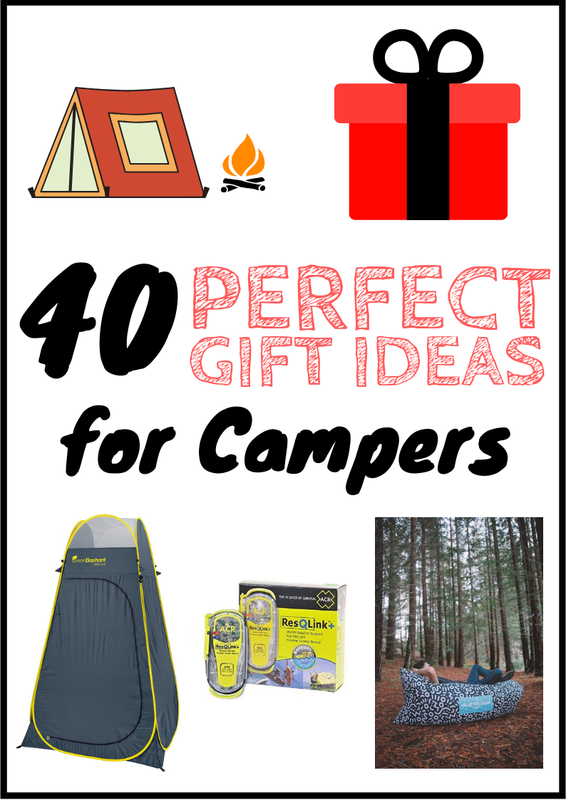 Related Reading: 40 Unique & Cool Camping Gifts Any Camper Would LOVE! Find Heather and her big family of six full-timers at Faith Takes Flight. 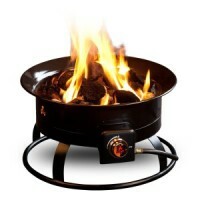 “I can’t underestimate how lovely it is to produce fire within moments and enjoy a warm evening outside smoke-free. Knowing that I won’t need to do a load of laundry and anticipate showers after a campfire means that we enjoy them much more often. Hauling or finding local firewood is no longer an issue. Want smores? No problem! 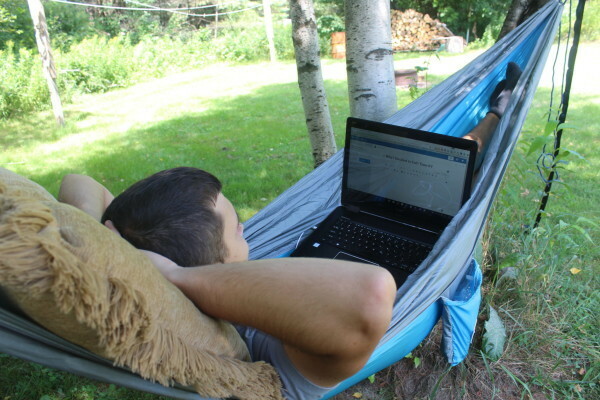 You can’t talk about camper accessories without adding hammocks. 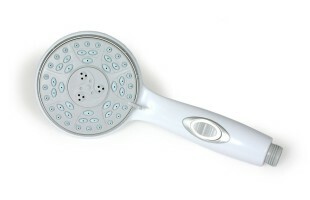 These are one of my favorite parts of RVing! Nothing like an afternoon nap or reading in a hammock. Hot Food Without Using Inside Oven - Keep Your RV Cool! It’s a blisteringly hot summer day. You don’t want to stand in front of a hot stove or run the oven in your RV. 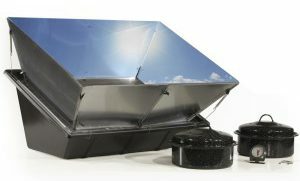 Pull out the solar oven! 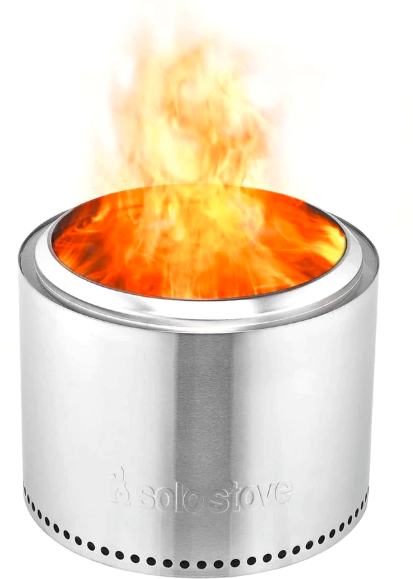 This thing can cook stew, mac n’ cheese, and even Indian dishes, just by sitting in the sun. It comes with a full recipe guide as well. Not everyone wants to hook up at an RV park. Sometimes, the best spots are those in the middle of nowhere next to a lake or in a desert. To help fill out this section, we have boondocking lovers Jason and Nikki Wynn from Gone With the Wynns. 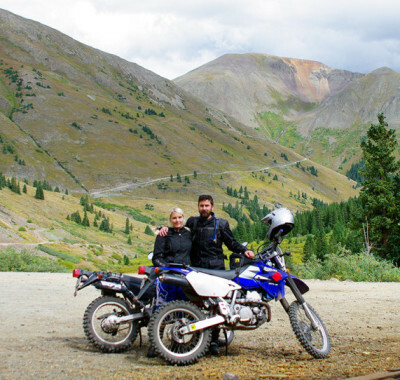 Jason and Nikki Wynn are full-time travelers. First an RV, then a sailboat! 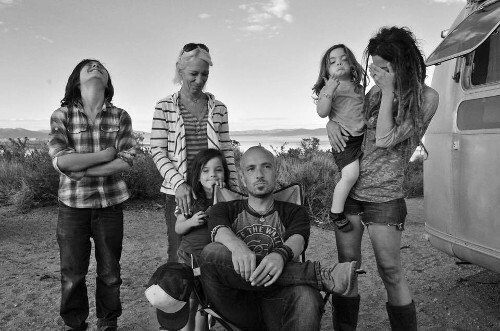 Marissa, Nathan, and their daughter Hensley run Less Junk More Journey, a blog about minimalism and full-time travel! 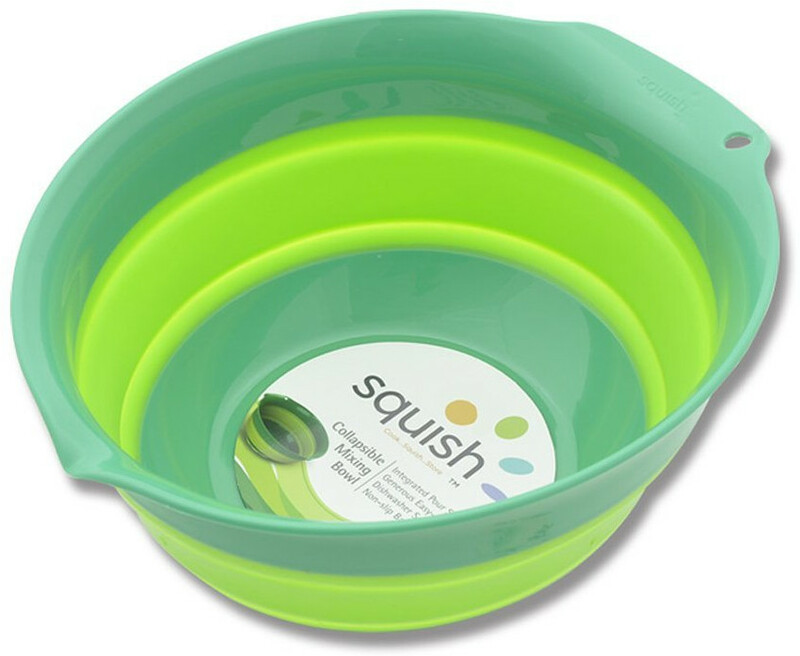 “The pan above (or any cheap pan that fits your particular sink) is awesome for dry camping. The water can be dumped or flushed into the black tank to save on gray storage while boondocking. 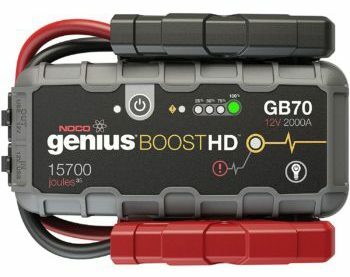 Also recommended by Marissa and Nathan is this jump starter. There’s nothing worse than boondocking and getting stuck in the middle of the woods. This can help prevent that. 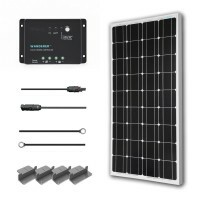 Note: You may also want a good battery charger to fill up your RV batteries. 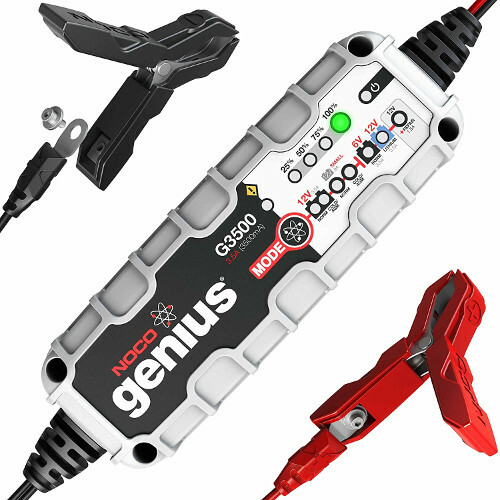 Safely Charge Your Car, RV, Truck, Boat & More! 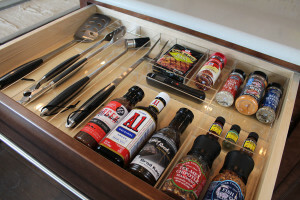 Because space in an RV is so limited, items that make organization easier are a must. Luckily, there are TONS of RV storage ideas floating around. To help us with this section, Hudson and Emily gave us their two must have space-saving gadgets. Hudson and Emily blog about their full-time travels with a unique twist: It’s really a blog about marriage! “The Higher Hangers allow clothes to hang higher, so we were able to add a second bar to hang our clothes on. Doubling our closet space has been great! One of the biggest complaints of full-timers (and people vacationing in an RV) is having a hard time getting online. Campground wifi is usually no good; and even if it is, if you happen to get a spot far away from the office, you’re screwed. 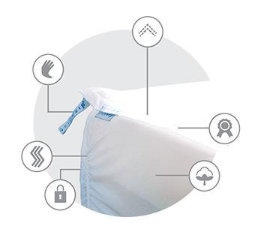 Luckily, with these gadgets, you’ll stay connected (almost) all the time! Recommended by SO many RVers, it’s hard to give credit. This nifty contraption allows you to pick up wifi up to two miles away! It serves as a wifi signal booster so you won’t have to worry about being parked a mile from the campground router. 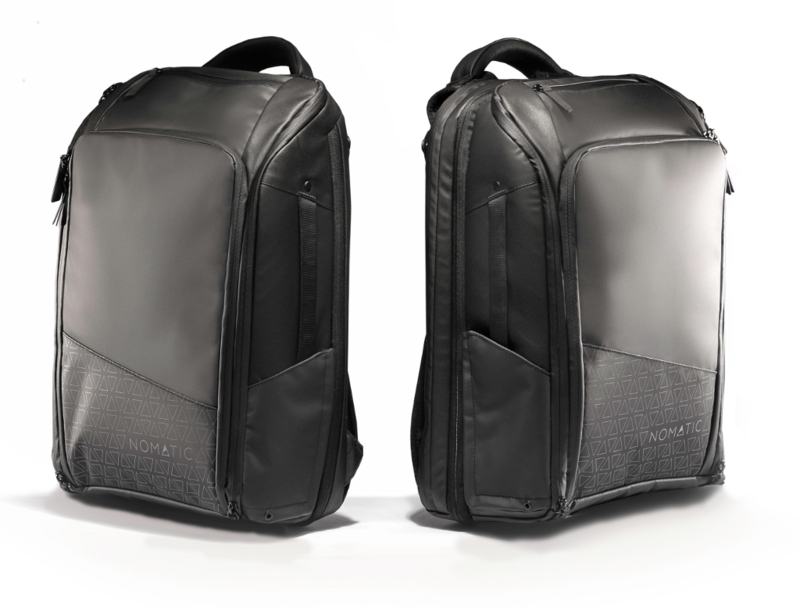 Even better, it allows you to “tether” multiple wifi signals together to create an even faster wifi. The best part, however, is that it encrypts your connection. With the massive number of unsecured wifi signals you’ll be connected to, this is what I’d be concerned about. You’ll be nice and secure! Note: Get the “Sky2 Pack” or above. 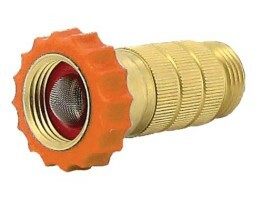 The “Core” and “GoAC” are indoor solutions that won’t pick up a signal by themselves. 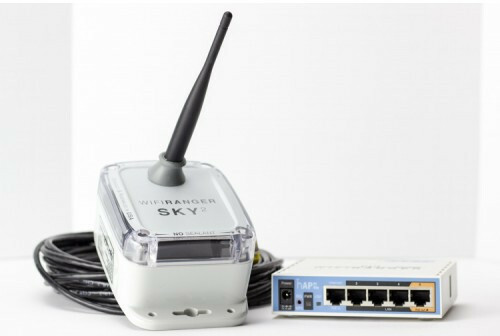 The more expensive packages have a longer range (2500 ft up to 2 miles) and a faster speed (650 MHz to 720 MHz). 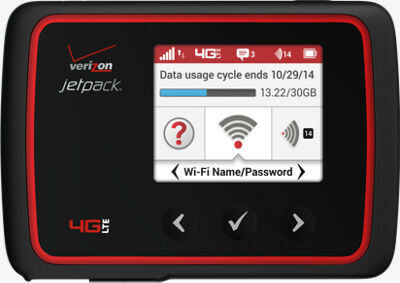 Mobile hotspots like the MiFi Jetpack offered by Verizon give you a way to stay connected without wifi. 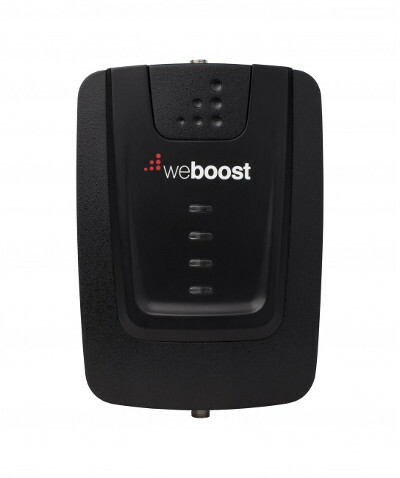 Combine that with a signal booster like the WeBoost 4G to get a signal almost anywhere. 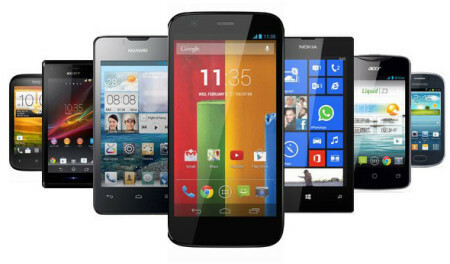 Unfortunately, you face the problem of limited data. If you’re a Netflix binger (or a gamer, like us), you’ll chew through half a gig of data in one 30 minute episode. If you have 10 gigs, that’s just 10 hours of Netflix. One or two binges per month. Of course, Verizon recently released an unlimited plan, but they throttle your data to 3G after a certain point. Nathan and Renee run Wandrly Magazine, an e-zine dedicated to helping people become full-timers and sharing their travels. Last but not least, we have a few cool gadgets that just didn’t fit in any of the other categories. Track Maintenance - Never Miss Oil Changes & More! 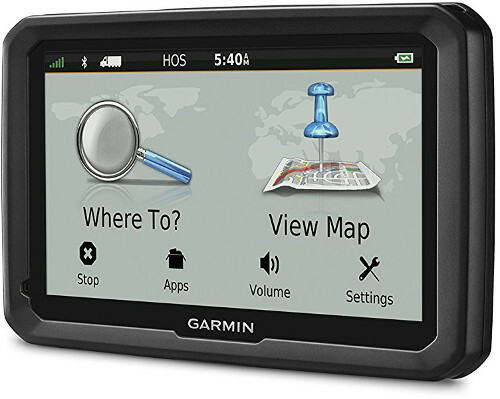 While paper maps are still very prevalent among RVers, an RV GPS makes everything easier. 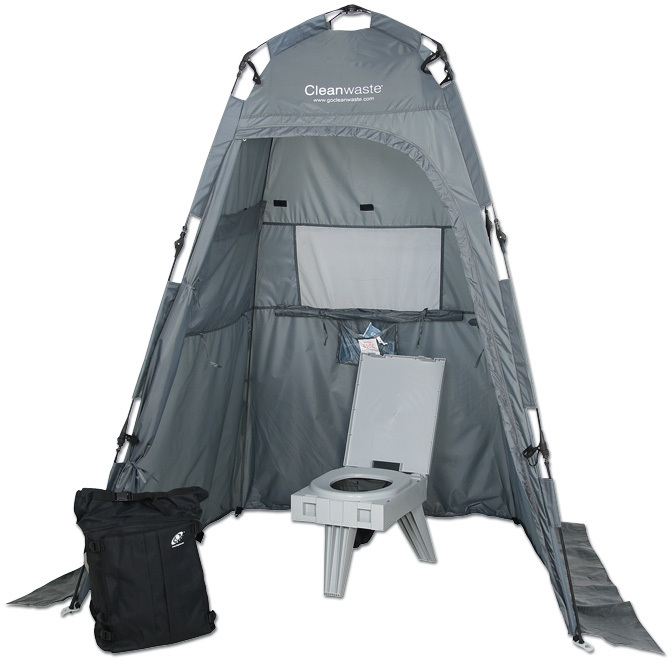 They’re designed to keep your motorhome or camper from going anywhere under its height clearance. Otherwise, things like this happen. 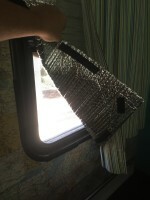 Also, RV covers are excellent to store your RV in the winter or keep it out of the sun! Ray and Anne run Love Your RV, a site with RV tips, tricks, and mods. If you own an RV trailer, you’ve dealt with those ugly black streaks from water dripping down the side. 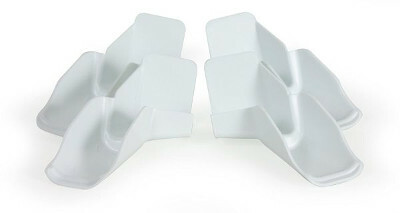 With these gutter drip extenders, that won’t happen anymore! Yay! Eric and Brittany are full-time RVers who love to share their adventures on their blog at RVWanderlust.com. Eric wrote a post discussing his top things to have in an RV for TrustedSource, an RV insurance provider. This came in at number two, and I had to add it to the list. 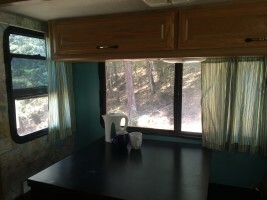 Remember, my biggest gripe about RVing is the limited cooking space! When you can cook outside easily, that eliminates the problem. Ross and Amber run Nerds On the Road. Amber also runs Lost Kat Photography (check out her amazing photography skills!). Nerds after our own hearts! 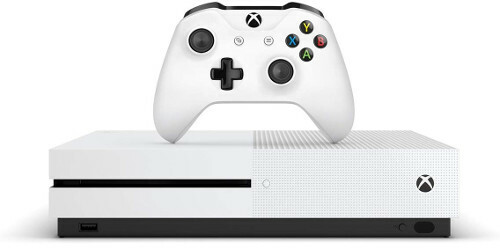 Having an Xbox One means games, movies, and fun times even when it’s raining. When they don’t have the internet, they rely on their library of over 500 songs and 200 movies to keep them entertained! 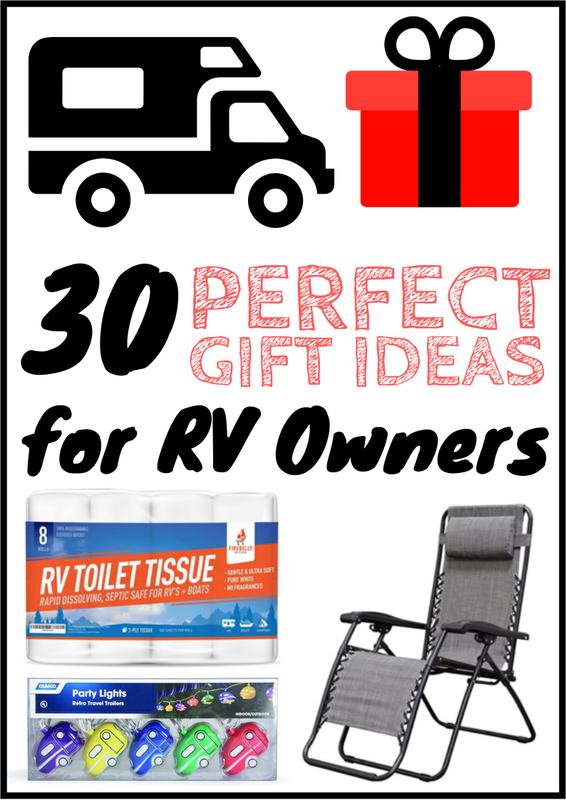 And that about wraps it up for RV supplies and accessories! Please share if you think it was useful! Click here to pin it on Pinterest! 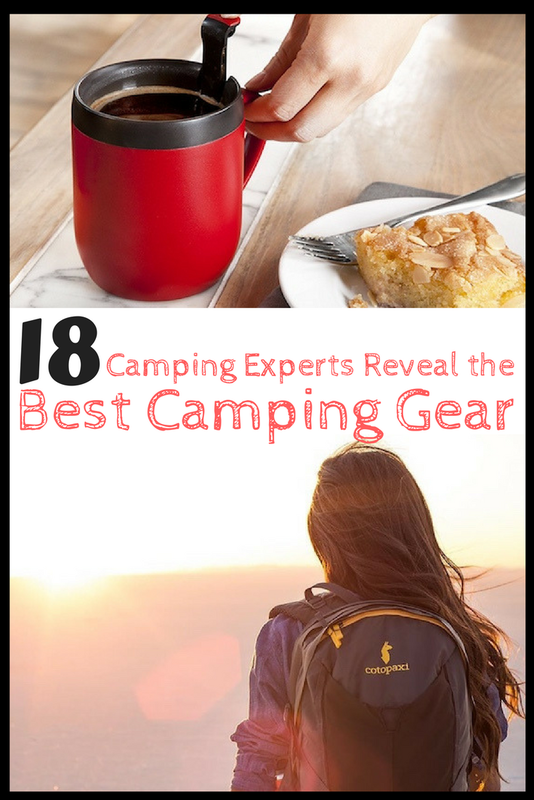 Now it’s your turn: What are your MUST have RV accessories for outdoor living and camping? 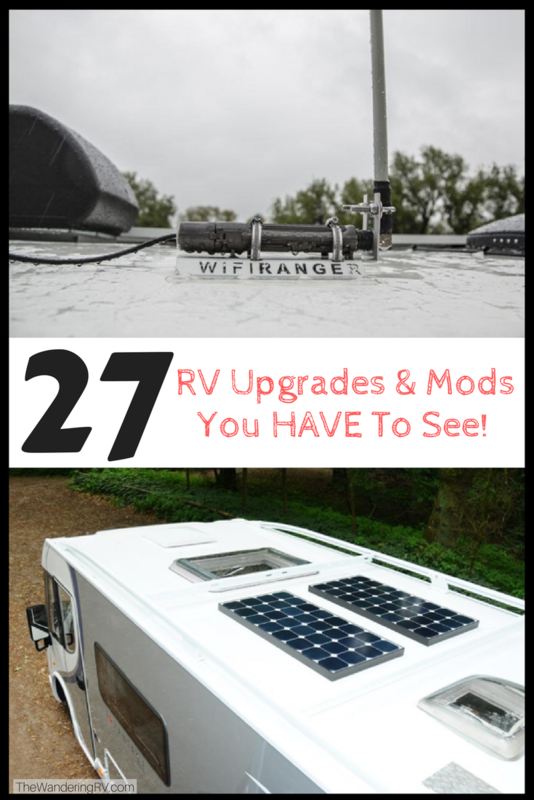 Have any RV hacks or tips? Let us know in the comments below!